There is a large memorial plaza in front of the Capitol with a number of tributes to fallen servicemen and women in US wars and other military actions. There is an extensive memorial to the USS Arizona and its role in World War II and, of course at Pearl Harbor. We also visited Old Town Scottsdale. 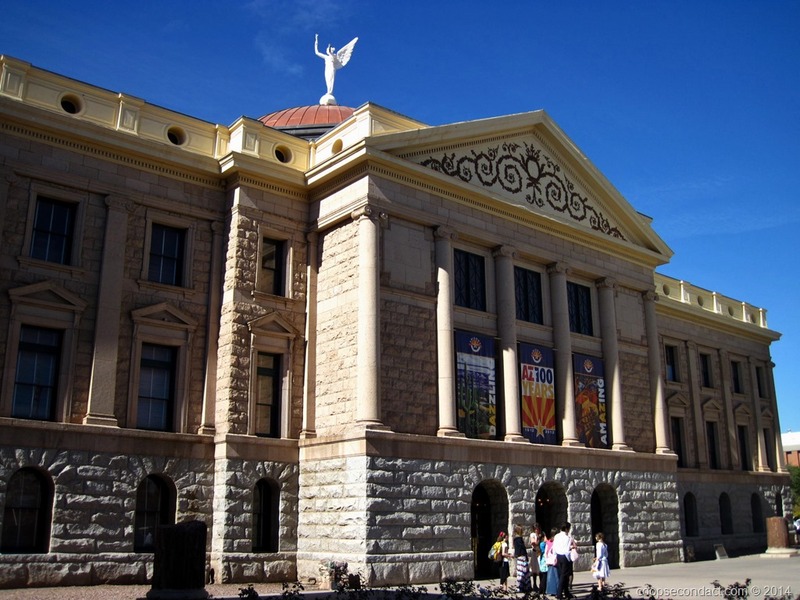 Of course, Scottsdale, in the shadow of Saddleback Mountain is the Phoenix suburb that is home to manicured golf courses, flashy resorts and pricy art galleries. 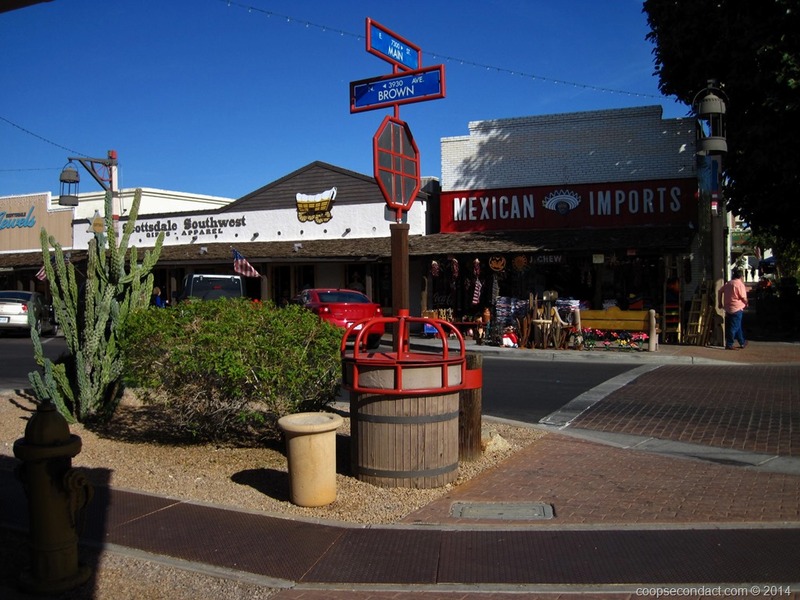 Most visitors probably don’t make their way to Old Town Scottsdale. Even though most of the shops in Old Town are now art galleries you can still get a glimpse into its old west look when it was founded in the late 1800’s. While in Old Town we stopped into The Mission restaurant for a snack. This restaurant is adjacent to Old Town’s historic old adobe mission church. 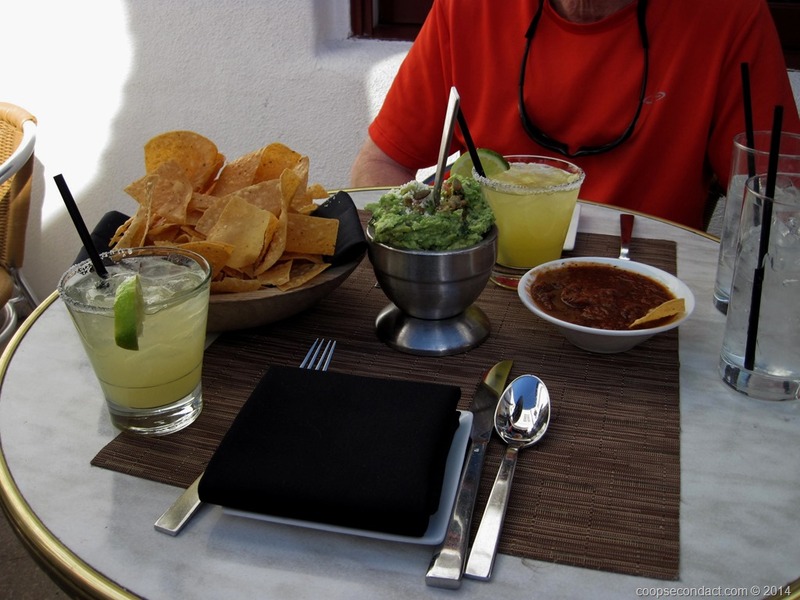 We had their guacamole freshly made at our tableside with chips and margaritas. Quite refreshing.